This little girl is just all types of cute! 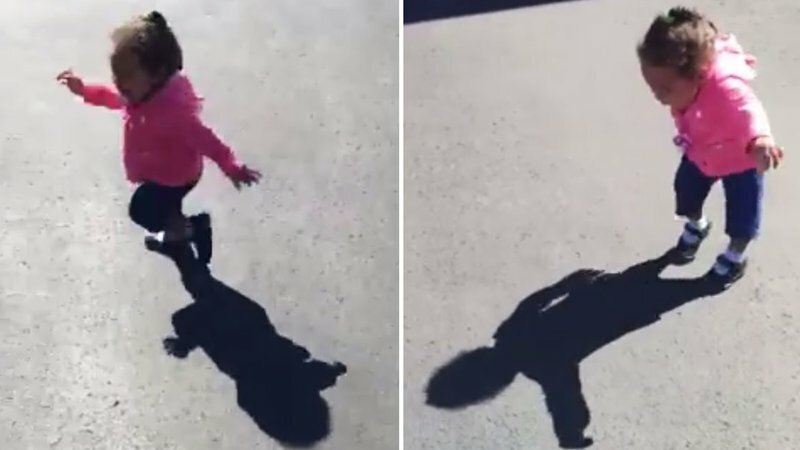 Those Rihanna lyrics “Turn your face towards the sun, and the shadows will fall behind you” are what we need to teach this little princess! I love how she seems curious but scared at the same time. She wants to fight the shadow and run away from it. This is too funny.